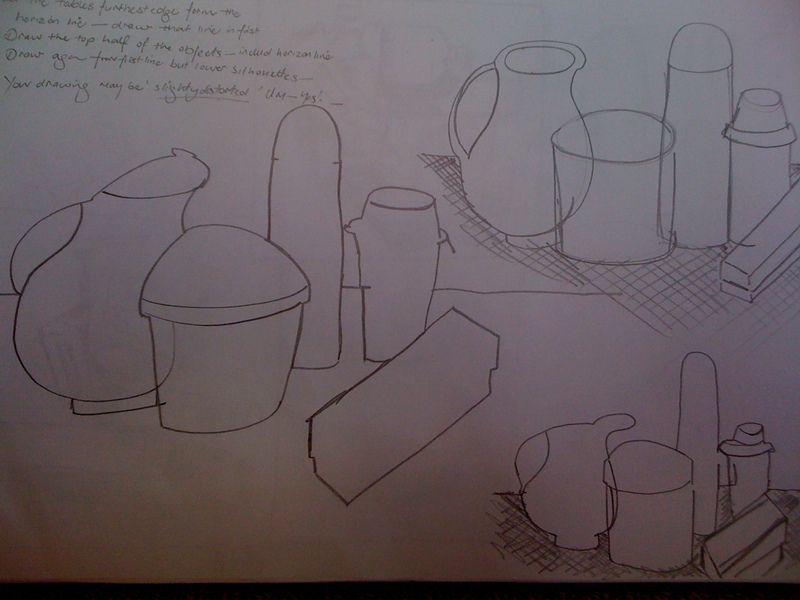 Had fun drawing around silhouettes of a still life. Making sure the outline was interesting with variations in height, depth, width and shape. « New Beginnings – Days for which goals.